This post is by Miriam of Admit2Med.com, providers of specialized advice and editing services to help you achieve the medical career of your dreams. One of the most common questions medical school applicants have is what minimum MCAT score is required to be a competitive applicant to medical school. There is no easy answer to this question as the competitiveness of an application is determined by a variety of factors that can make up for a weak MCAT score. However there are certain guidelines that you can use to help determine if you should retake your MCAT or apply with your current score. If you have received a 30 or above it is not advisable for you to take the MCAT again. When looking at an application there is a subtle positive effect that seeing a number beginning with a 30 has on reviewers. Since you are just on the cusp of having a score below 30 it is not worth the risk of taking the MCAT again and possibly receiving a lower score. You cannot hold back MCAT scores taken after 2003 from AMCAS. This means all schools will see your new test scores even if they are worse than your original score. Since you received a solid score it is not worth jeopardizing it for the chance of a better one. If you have received a 29 and below you are in a murky zone. It may be beneficial you to retake your MCAT, but it is not a given that you should do so. Since schools will see all of your scores you must be as close to certain as possible that you will receive a superior score this time around. If you are taking practice tests and scoring much higher than you did before your last exam and feel overall more prepared, then retaking might work in your favor. However, if you feel your level of preparation and readiness is the same as the last time you took the exam it is not worth the delay in your application that retaking the MCAT will cause. You want schools to see your application as soon as possible, as they are more likely to be generous when offering interviews earlier in the season. If they are waiting for your new MCAT score before marking your application complete, it can negatively impact your chances. It also will not look great to have received two mediocre scores. Once score can be written off as a fluke, but two is a definite trend. If you have received a 7 or below in any section, even if your overall score is above 30, you might want to consider retaking the MCAT. That subject score will stick out like a red flag on your application. If you do not think you can improve, or do not have the time to retake the exam, make sure to explain why this score is so low. This is most common with the verbal reasoning section. If English is your second language, make sure to indicate this somewhere on your application so that administrators know that you are starting at a disadvantage on that particular section. Do not worry about your written essay. Very few people actually look at this score and it certainly will not hold a school back from offering you an interview. The only situation in which the essay may be more critical is if your verbal score is below a 9. If you have weak scores in both verbal and the essay it may be construed as an overall communication weakness. There are many factors that can mitigate the effects of a low MCAT score. 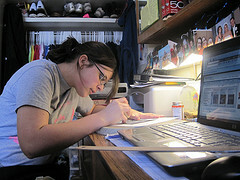 A high GPA and science GAP are signs that you can excel at coursework. A unique background and history that places you at a disadvantage when taking the exam will be taken into account. Life experiences and extra curricular activities that set you apart will continue to do so even with a low MCAT score. Your application will be read as a total package as very few schools have automatic cut-offs for MCAT scores. Therefore the decision to retake the MCAT is unique to each student and two students with identical scores may receive different advice on the topic. This is totally normal and appropriate. Your MCAT score is only a piece of your application and it is best not to forget that.